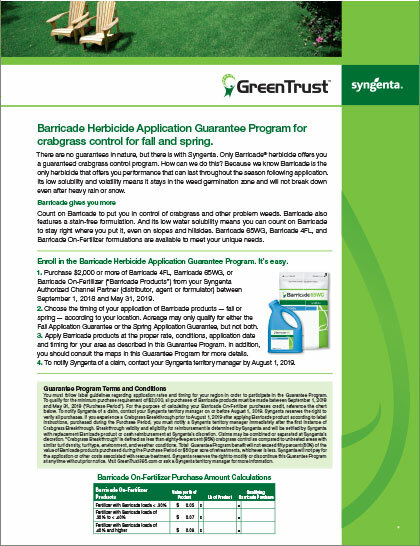 View the Labels/SDS information for Barricade 4FL Herbicide. Prevent weeds season long with a single application. Barricade® 4FL herbicide controls susceptible weeds by preventing growth and development of newly germinated weeds. All applications must be made before the targeted weeds germinate; Barricade 4FL will not control weeds after they have already emerged. Barricade 4FL also offers programmable weed control; adjust application rate to dial in the length of weed control you need. Use higher rates for maximum residual and length of control, use lower rates in shorter growing seasons. See label for additional details. 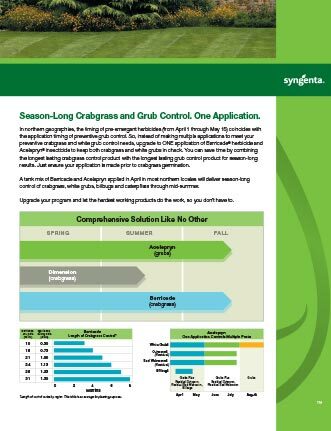 Length of control also varies by turf species and application time of year. Barricade 4FL is labeled for a wide range of turf species, use sites and weeds controlled. It can be used on residential turf, golf courses (except putting greens), sod farms and nurseries. It is also labeled for container, field grown, and landscape ornamental plantings including christmas tree farms. More than 30 turf weeds are on the label; controlling summer annuals when applied pre-emergently in the spring and winter annuals when applied in the summer/fall. Using Barricade and Acelepryn together offers season-long crabgrass and grub control. 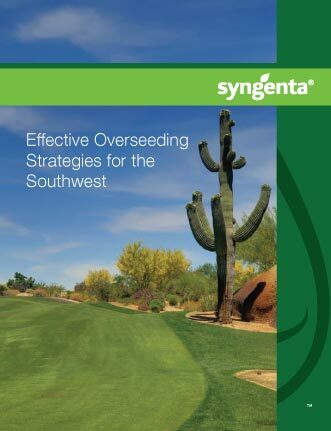 An overview of effective overseeding strategies for the Southwestern US. 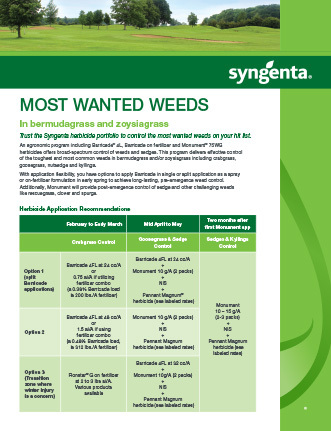 Trust the Syngenta herbicide portfolio to control the most wanted weeds on your hit list. 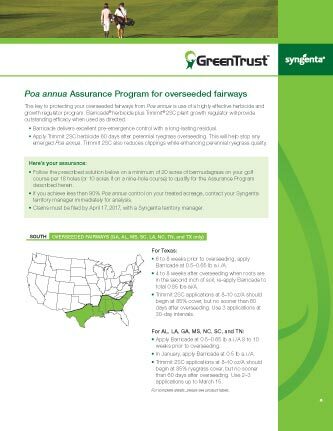 Protect your bermudagrass & zoysiagrass fairways from Poa annua. Protect your overseeded fairways from Poa annua. 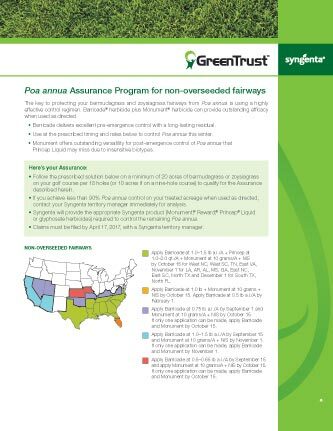 Barricade®, Greencast® is a trademark of a Syngenta Group Company.